Boats are getting bigger and heavier as boaters add new features to their pleasure craft. The good news is that SUVs are keeping up with the trend, offering better towing capabilities than ever before. 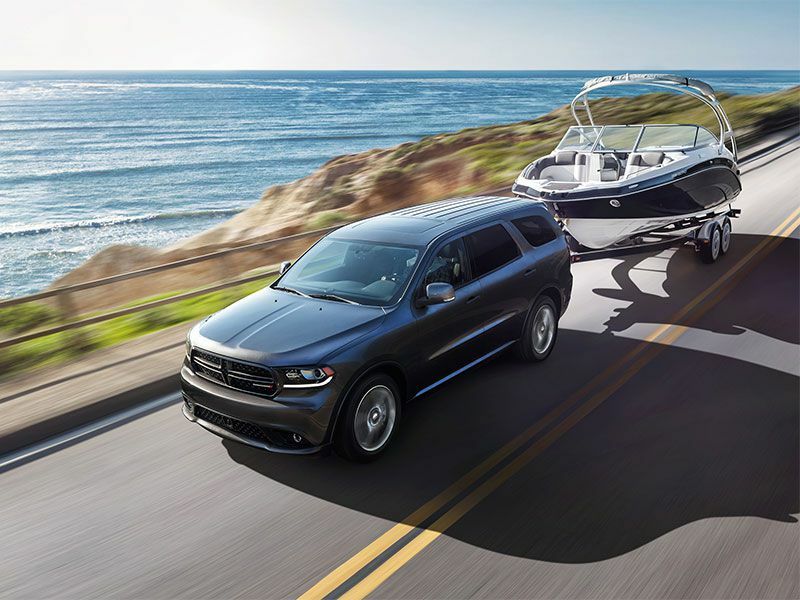 A key factor when choosing an SUV for towing is a calculation of the combined weight of the boat and trailer. As a quick rule of thumb, the average 21-foot boat trailer weighs between 500 and 1,000 lbs, while most boats of this length weigh about 5,000 lbs. This means you'll want SUV that is rated to tow no less than 6,000 lbs in total. 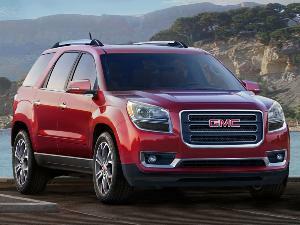 Some mid-size SUVs can do that, but a full-size SUV is typically a better bet. Here’s a good look at the 10 best SUVs for towing a boat. Ford executives got tired of the Chevrolet Tahoe and Suburban eating their lunch in the full-size SUV class, so they completely re-worked the venerable Expedition for 2018. In the process they turned it into the premier tow vehicle in the land. The 9,300-lb towing capacity is stellar, and equally stellar are the driver aids that make the towing process so much easier and safer. 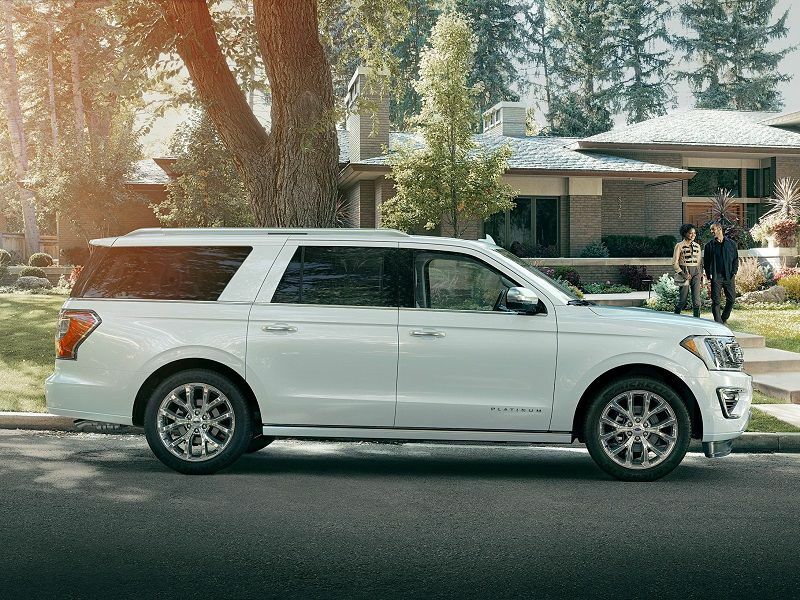 The Expedition features trailer sway control working in conjunction with electronic stability control. An optional blind-spot warning system includes trailer coverage to help you keep track of vehicles that are hidden in your vehicle’s and trailer’s blindspots. And available Pro Trailer Backup Assist lets you steer a trailer in reverse with just the turn of a knob. 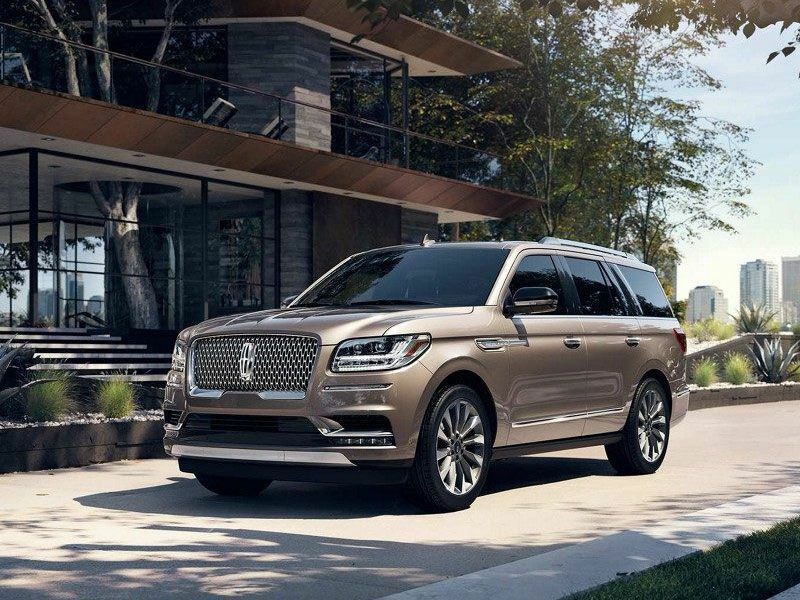 The Lincoln Navigator and its long-wheelbase sibling, the Navigator L, have become the premier luxury-brand tow vehicles, based on their very recent complete makeover. The Navigator vaulted from also-ran status to top of the heap in style, luxury, and equipment levels. 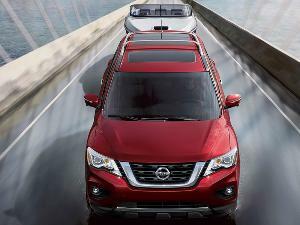 At the same time, it offers best-in-class towing capacity of 8,700 lbs. The standard trailer tow features include smart trailer tow connector and trailer sway control. The heavy-duty trailer tow package includes high-tech towing aids like Pro Trailer Backup Assist, Electronic Traction Assist, and an integrated trailer brake controller. With Pro Trailer Backup Assist, you just rotate the control knob in the direction you want your trailer to go, and the system automatically steers the vehicle to turn the trailer for you. 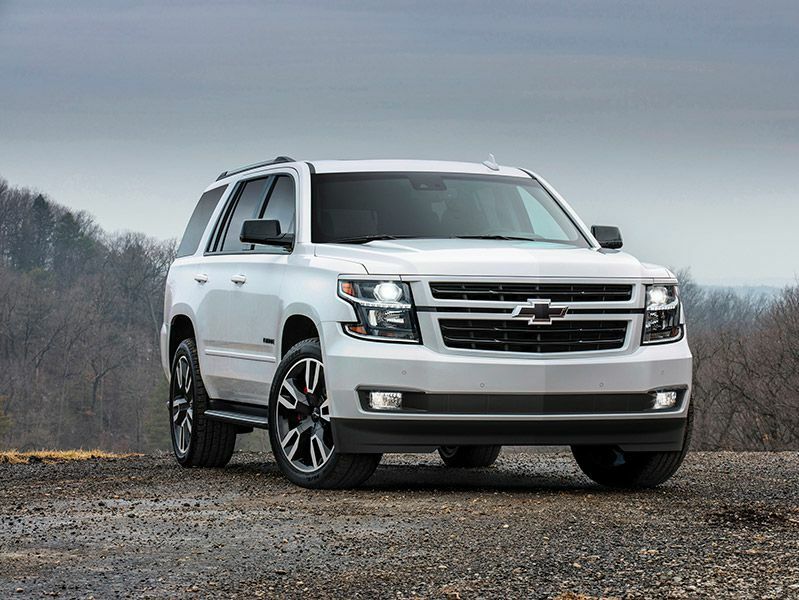 The Chevrolet Tahoe is the most popular conventional full-size SUV in the nation for several reasons, and one of them is the fact it is an excellent tow vehicle. Based on the chassis of the popular Chevrolet Silverado pickup truck, it uses rugged body-on-frame construction and is equipped with a powerful gasoline-fueled V8 engine. With 355 horsepower and 383 lb-ft of torque under your right foot, towing becomes a simpler task. A “Max Trailering” package that’s offered on all trim levels enables the Tahoe to pull as much as 8,600 lbs (with a slightly lower rating for four-wheel drive models). An available locking rear differential can help with traction when pulling the boat and trailer out of the water. The description of the Chevrolet Tahoe applies almost equally to its sister ship, the Chevrolet Suburban, which is a long-wheelbase version of the same basic vehicle. 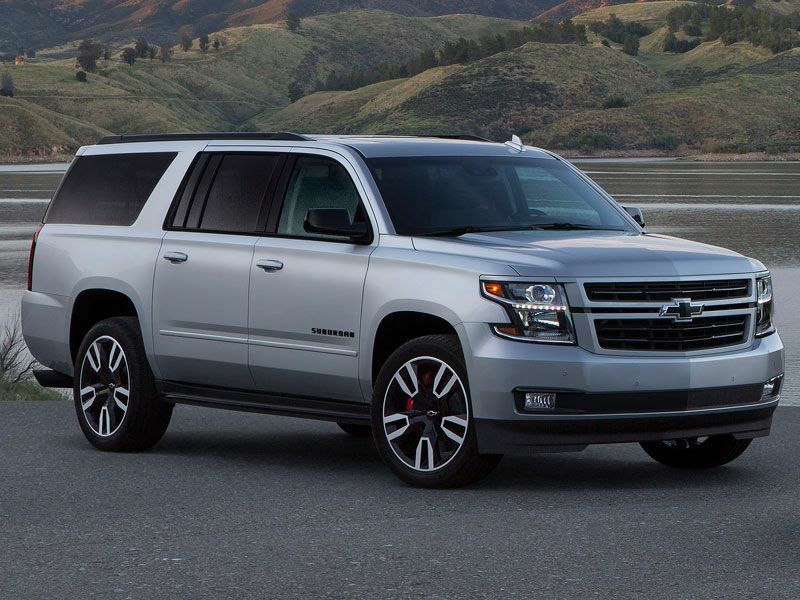 The Suburban offers more interior space and a roomier third-row seat. The tradeoff is that its maximum towing capacity is 300 lbs less. At the same time, it offers the same standard 355-horsepower 5.3-liter V8 engine. A cylinder deactivation system contributes to segment-leading V8 fuel economy of 23 mpg on the highway. The “Max Trailering” package available on all trims, offering towing up to 8,300 lbs. The GMC Yukon XL is a very similar vehicle with identical capabilities. Power makes towing a big boat easier, and the Cadillac Escalade offers serious amounts of power. Under the expansive hood is a 6.2-liter V8 that provides 420 horsepower and 460 lb-ft of torque, helping you get underway with alacrity. A new 10-speed automatic transmission allows the engine to run at lower rpm on the highway, achieving an EPA-estimated 23 mpg in highway driving. 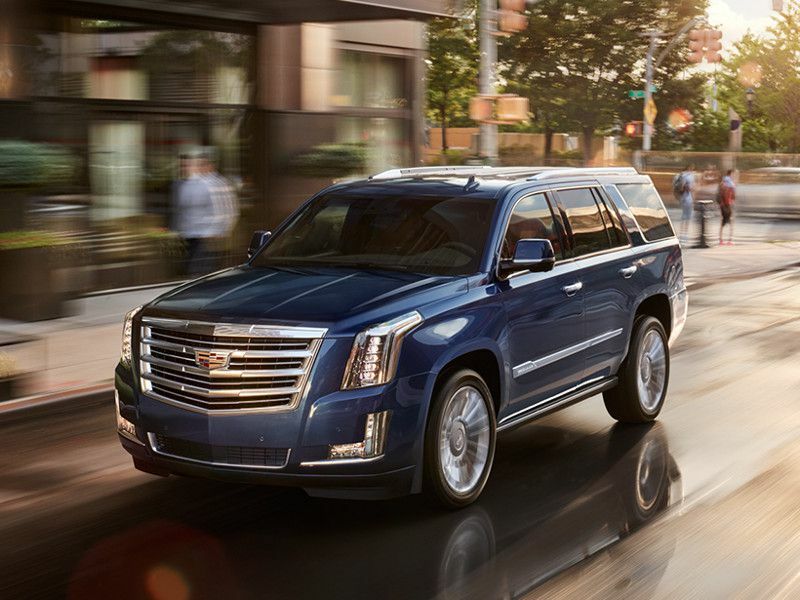 Standard Magnetic Ride Control means the Escalade has one of the smoothest, most comfortable rides of any tow vehicle on the market. 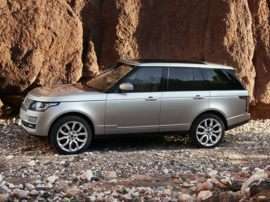 The available four-wheel-drive system has an auto mode for set-it-and-forget-it automatic activation. When conditions call for extra traction assist, drivers can select “four-low” for heavy-duty trailering. The Armada is Nissan’s traditional body-on-frame SUV, and it is based on the Titan full-size pickup truck chassis. Substantial towing ability is fostered by its 5.6-liter V8 engine that delivers 390 horsepower and 394 lb-ft of torque. Standard systems that aid towing are two- or four-wheel limited-slip, stability control, traction control, snow mode, hill-start assist, and tow mode. Among the new features for 2019 is standard rear door alert system is designed to help remind customers of items that may be forgotten in the rear seat — including children, pets, and ice cream about to melt. With a wealth of amenities, the Armada can be as plush or as purposeful as you want it to be. 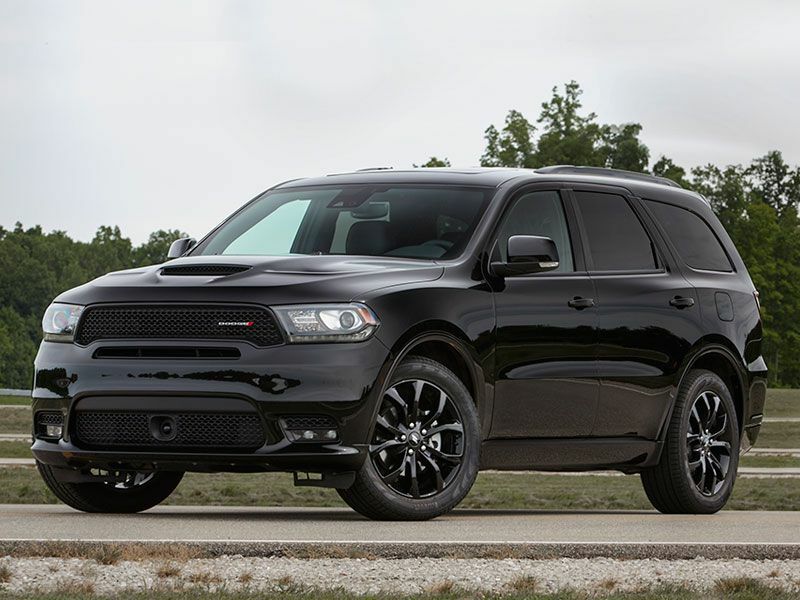 Sheer power and four-wheel drive are the reasons the venerable Dodge Durango SUV has upped its towing capacity in recent years. Opting for the 6.4-liter V8 engine and four-wheel drive nets a stout 8,700-lb towing capacity. The big V8 offers 475 horsepower and 470 lb-ft of torque. If you choose the 5.7-liter Hemi V8, its 360 horsepower will net you a 7,400-lb towing capacity in rear-drive form and a 7,200-lb capacity with four-wheel drive. Durango models with four-wheel drive feature a low-range transfer case. Low range helps ease maneuvers like pulling a boat up a steep launch or backing up with a trailer. Durangos now offer an integrated trailer brake when equipped with the available trailer tow package. 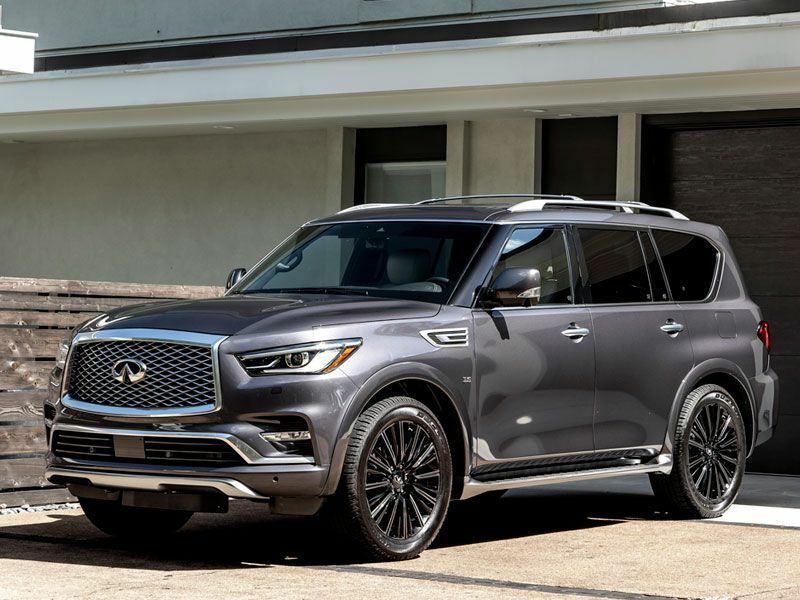 The Infiniti QX80 is the luxury brand’s take on the Nissan Armada, and the two full-size SUVs share a lot under the skin. 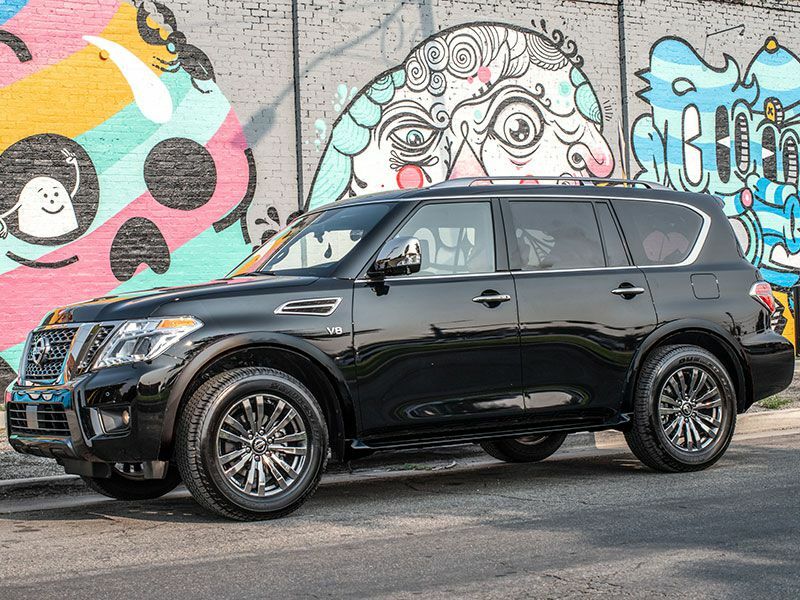 The QX80 has its own exterior styling and a well-designed interior filled with rich materials. 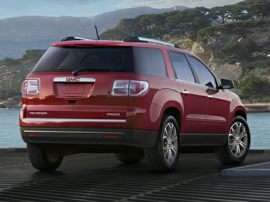 Its towing ability is enhanced by the 5.6-liter V8 engine that produces 400 horsepower and 413 lb-ft of torque. Infiniti All-Mode 4WD offers four-wheel traction when conditions dictate. The rear-biased drivetrain defaults to rear-wheel drive, continually adjusting power distribution between front and rear axles. The QX80’s standard rear auto-leveling suspension automatically adjusts suspension pressure to maintain optimum ride height with a trailer. 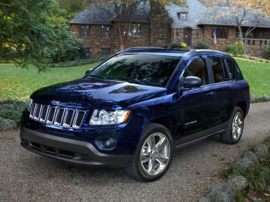 The Jeep Grand Cherokee has superior off-road capabilities, and it offers a very upscale, European-style interior. 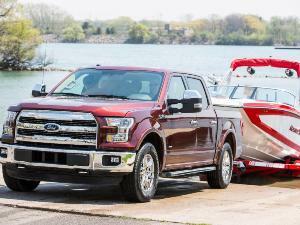 The mid-size five-passenger SUV is also a good choice for towing a boat. 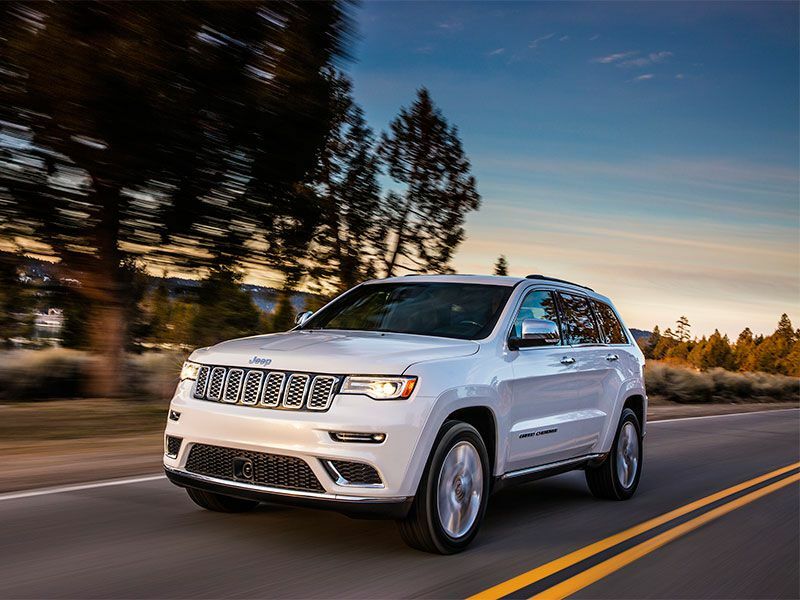 The standard 3.6-liter V6-powered Grand Cherokee, rated at 295 horsepower and 260 lb-ft of torque, tows up to 6,200 lbs, while the available 5.7-liter V8 packs 360 horsepower and 390 lb-ft of torque for towing capacity of 7,200 lbs. The Grand Cherokee SRT and Trackhawk models feature five dynamic drive modes that control the four-wheel-drive system, transmission, stability control, suspension, and steering. The selectable Tow mode alters torque delivery for greater smoothness, and it also adjusts the suspension to combat pitch and yaw to deliver maximum towing performance. 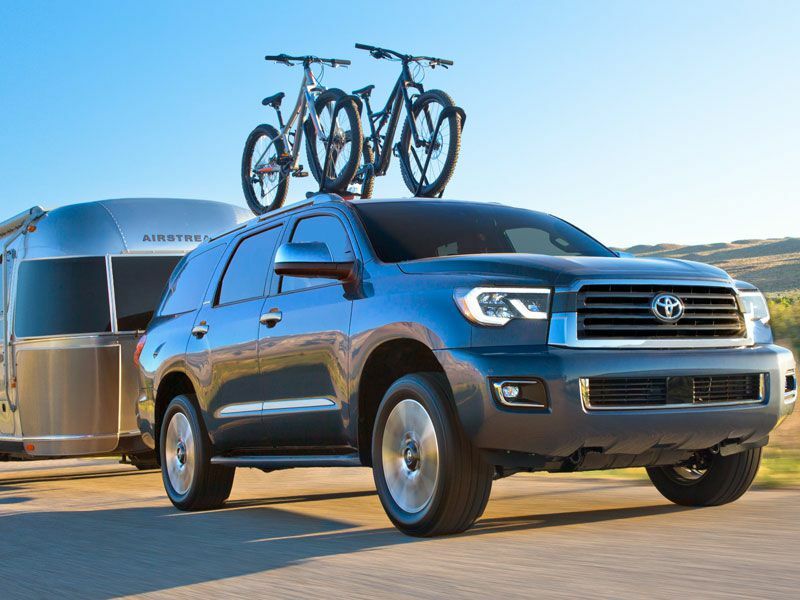 Toyota hasn’t changed its Sequoia full-size SUV much in years, but it still excels as a tow vehicle. Part of the reason is its 5.7-liter V8 engine, which produces 381 horsepower and 401 lb-ft of torque. The engine is paired with a six-speed electronically controlled automatic transmission. One advantage of the beefy V8 is its ability to produce 90 percent of peak torque as low as 2,200 rpm. Compliant with the SAE J2807 towing standard, the Sequoia can tow up to 7,400 lbs. The Sequoia’s standard tow hitch is integrated into the frame for added strength. Tow/haul mode modifies shift points for optimal towing performance, while standard trailer sway control uses the vehicle stability control system to help counteract trailer sway. A standard rearview camera helps when backing up to a trailer.